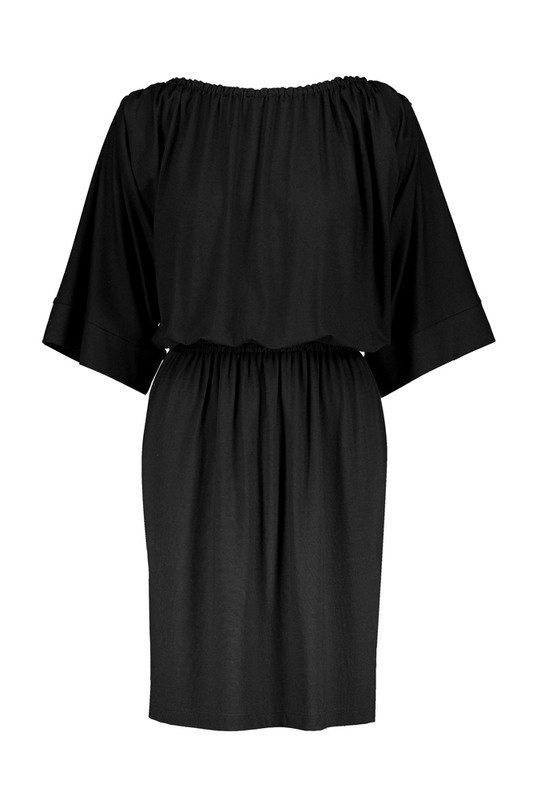 The Sorbonne dress is a very flattering and versatile dress, one that you can wear pretty much throughout the year. The neckline and waist are beautifully draped with narrow rubber bands. Designed in Finland, manufactured in Estonia.Fabric made in Turkey.